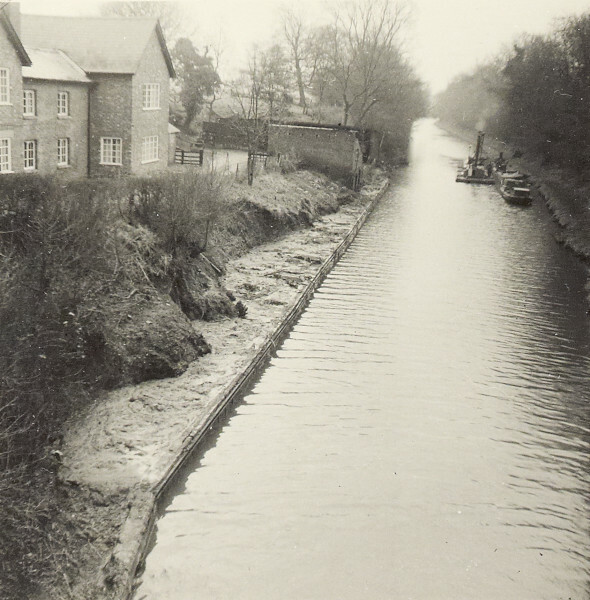 "Piling-S.[outh] of Br[idge] 6 Welton"
Black and white photograph showing piling on the side of the canal at Welton. Taken from above the canal with the piling on the left side of the photograph and unidentified boats in the canal on the right. There is also a house visible behind some hedges on the left side of the photograph. This photograph is on page 41 of the C N Hadlow photograph album.